Every year, businesses waste millions of dollars in operating costs related to their forklifts. Our Toyota Forklift Fleet Management programmes can help you improve productivity and minimise forklift operating costs. Every year, businesses waste millions of dollars in operating costs related to their forklifts and material handling. Toyota Material Handling's forklift fleet management programmes can help you control and minimise operating costs, and combined with our national network of service technicians and parts experts, you can be assured that your forklift equipment will be operating at peak performance. We understand that every company has specialised needs and the key to making successful decisions requires accurate and up to date information. Our forklift fleet management team can develop and implement pricing and auditing procedures to assure that you are receiving the most cost-effective, competitively priced package on an ongoing basis to help reduce your forklift operating costs and increase productivity. We also welcome the opportunity to explore ways in which we can help raise your company's operating efficiency and provide a no fuss, centralised account management platform. Our approach is based on an intelligent working partnership where we work with you to deliver tangible benefits over time and in the process help to optimise your forklift and materials handling operation. I_Site is the perfect tool for fleet and logistic managers to understand vehicle status, driver performance and overall productivity in their materials handling operation. The user-friendly dashboard interface offers a condensed real-time overview of your situation, in which you can visualise issues very quickly. It is accessible whenever and wherever you need it: in the office, at home, for management presentations - or on a handheld device on the warehouse floor. You can choose and customise the indicators you like. Meanwhile, all the background data you need is always just one click away. Fully customisable, I_Site helps you to identify opportunities for improvement and also helps to improve productivity, drive down costs and achieve fleet reduction opportunities. Talk to us today on 1800 425 438 about how I_Site can empower your business. Help reduce your damage costs by making sure that your forklifts are only operated by properly trained and authorised drivers. You decide who can use which forklifts, and you can easily update this directly from your computer. Controlling access will reduce damage to your forklifts, infrastructure, equipment and most importantly, the goods you are moving. You can also monitor and record truck impacts. 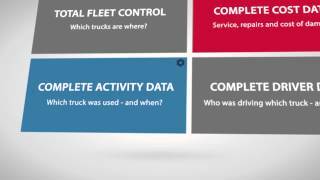 See the 'who, what, when and where' of all forklift impacts and make informed decisions about how to reduce them. Driver training can be directed to where it is most needed and 'problem' machines can be easily identified and moved to a more suitable operating environment or replaced by a more appropriate forklifts. Together, these simple but effective controls reduce operating costs, improve knowledge and bring visibility and accountability to your operations. Controlling access to forklifts and monitoring forklift impacts will also help to reduce accidents and may also improve safety in the workplace. Reduce not only the financial costs - more importantly, help to eliminate the human cost of accidents. Use the access control function to remotely 'lock-out' any forklifts that have a known safety problem until they are safe to operate again. Monitoring forklifts utilisation provides an accurate picture of your activity and identifies under-utilised forklifts and bottlenecks in your operations. This could result in relocating some equipment, optimising the size of your core forklift fleet and managing peaks in activity through short-term rental. By constantly monitoring forklift usage and operating hours, maintenance can be accurately scheduled to prevent breakdowns, eliminate unnecessary servicing and improve forklift availability.